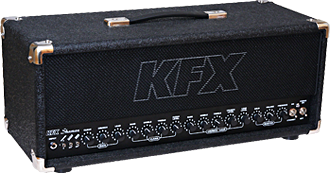 Thank you for your interest in KFX Amplification products! Custom products made to match your needs and wishes. 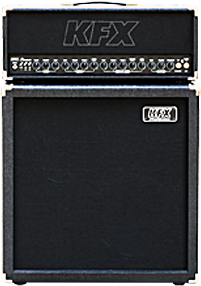 You will find Amplifiers, Speaker Cabinets, Stomp Boxes, Switching Systems and all you need for a guitar or bass rig whether simple or elaborate. The amps: Combining the sounds of vintage and modern, reliability on the 1st place, quality parts, loaded with JJ Tubes, ceramic JJ tube sockets, hi temperature capacitors, oversized custom hand made transformers weather mains or output, metal Alpha potentiometers, metal-fim 1% resistors, Neutrik connectors…all carefully assembled by hand.